The National Coastal Zone Management (CZM) Program is a federal-state partnership designed to balance the competing goals of furthering economic development and protecting the ecological, cultural, and social integrity of the coasts. Since 1972, the National CZM Program has laid the foundation for responsible management of the nation’s coasts by providing participating states and territories with resources that are essential to accomplishing this end. This unique and diverse program has had a significant impact in the 46 years since it was created. For example, participating states and territories provided $57 million in matching funds in FY17 alone, worked with more than 1,165 communities to mitigate coastal hazards from 2012-2017, and restored 34,147 acres of coastal habitat from 2008-2017. When considered together, the coastal counties of the United States comprise the third largest economy in the world. These statistics are a testament to the effectiveness of the National CZM Program, and the partnership it supports. In 2018, 10 of the 34 participating states and territories celebrated their 40th anniversary of joining the program. While the challenges faced by each state program are as different as the coastlines they manage, the lesson we can learn from the work they have done in the last 40 years is singular. CZM Programs, which operate at the nexus of federal, state, and local government, are essential to the sustainable management of our Nation’s coasts. To create this poster, we interviewed 7 of the 10 coastal programs that celebrated their 40th anniversary in 2018. These are their stories. This material was originally presented at the 2018 RAE/CSO National Summit on Coastal and Estuarine Restoration and Management in Long Beach, California. When the Governor’s office asked the Hawaiʻi CZM Program to shepherd the state through NOAA’s NERR selection and nomination process in 2012, using 40+ years of experience of working with local communities, the coastal program worked with existing local champions to create a participatory and community driven process which culminated in the designation of the Heʻeia NERR in January of 2017. For more than 20 years, the Kāneʻohe Bay, home to the Heʻeia estuary and a 600+ year old fishpond built and maintained by Native Hawaiians, had been an area of concern for the state. 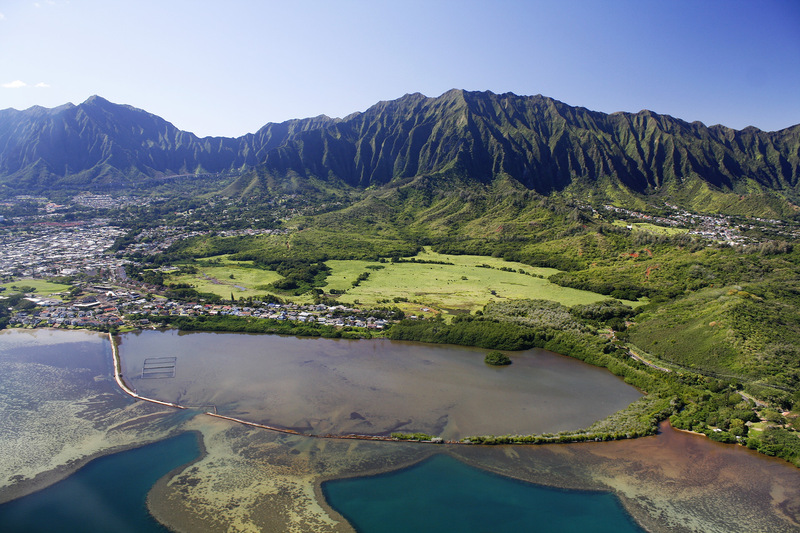 Since the 1990s with the creation of the Kāneʻohe Bay Task Force and related Master Plan, state and local partners have been advocating for the protection and restoration of this vital economic, cultural, and historical site. Partners included Paepae o Heʻeia, Kākoʻo ʻOiwi, and Koʻolaupoko Hawaiian Civic Club, three local nonprofits dedicated to the perpetuation of Native Hawaiian culture, and the University of Hawaii’s Institute for Marine Biology. By bringing these partners to the table, the CZM program was able to facilitate the designation of the Heʻeia NERR in just five years. The Wisconsin Coastal Management Program’s sustained efforts in the Menomonee Valley are another key example of how leveraging partnerships can have on-the-ground impacts. 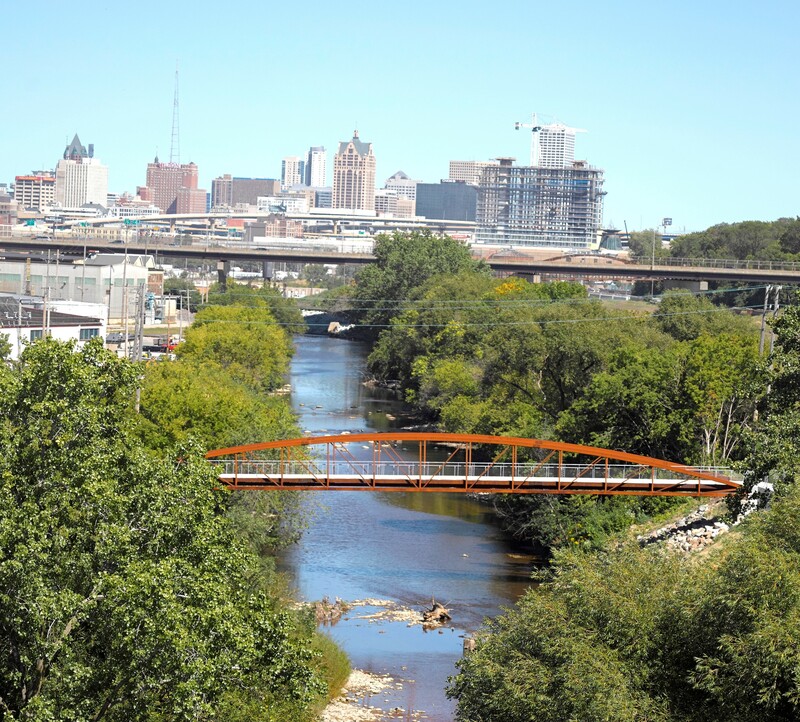 The Menomonee Valley stretches over four miles from the outskirts of Milwaukee lakeward to the confluence of the Menomonee and Milwaukee Rivers. The Valley, which was historically used by Native Americans to harvest wild rice, became a hub for industry in the 1900s. When demand for these industries declined, the businesses that occupied the Valley left leaving behind the largest brownfield in the United States. For 20+ years, the Coastal Program has been a key player in the revitalization of the Valley. Since 1999, the Wisconsin Coastal Management Program has supported, through funding and planning assistance, over a dozen projects led by a variety of community, private, and nonprofit partners. These projects have reconnected the surrounding community to the Valley through accessible trails, interpretive signage on the cultural significance of the Valley, new parks, and more. The partnerships developed and leveraged by CZM Programs aren’t just local. 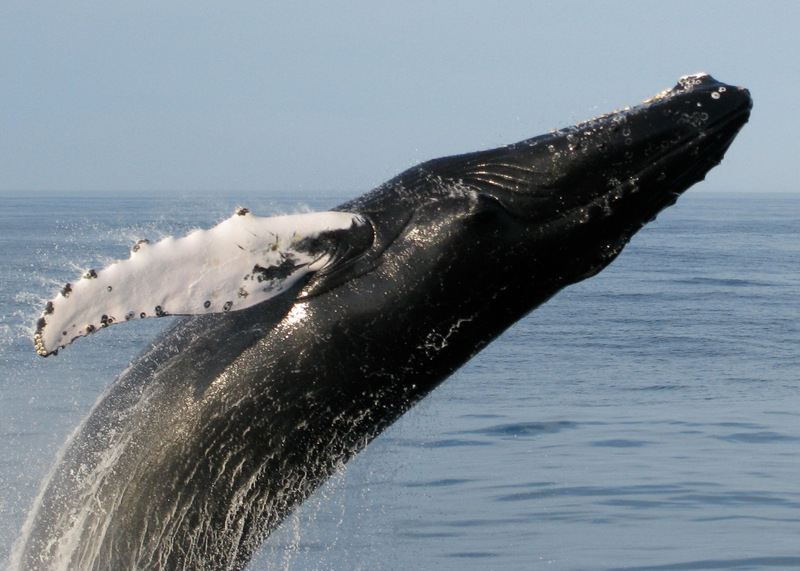 For example, the Maine CZM Program was a founding member of the Gulf of Maine Council on the Marine Environment (GOMC). The GOMC is a binational partnership founded by the Governors of Maine, New Hampshire, and Massachusetts and the Premiers of New Brunswick and Nova Scotia. The Council is comprised of Maine CZM and other relevant agency staff including representatives from the founding States and Provinces as well as the non-profit sector, tribal government, and the United States/Canadian federal governments. Since GOMC’s establishment in 1989, these partners have worked together to protect and enhance the health of the Gulf of Maine ecosystem. Together, GOMC has funded more than 115 local habitat restoration projects, created a Climate Network which serves as a central repository for regionally relevant climate data and adaption strategies, and established a reporting system which facilitates integration of data from more than 13,000 monitoring sites from across the region. The Rhode Island CZM Program, laid the foundation for the United States’ first offshore wind farm through the creation of its Ocean Special Area Management Plan (Ocean SAMP). In 2007, the Rhode Island Office of Energy Resources determined that offshore wind development would be necessary to meet the state’s renewable energy goals. In response, the Coastal Program set out to create an Ocean SAMP, a comprehensive regulatory plan for the state’s offshore areas, through a participatory and consensus-driven process. 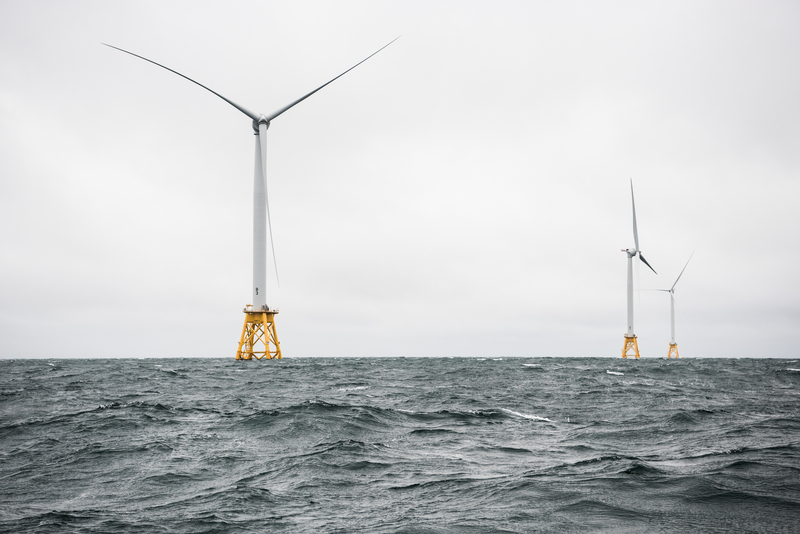 The ultimate goal of the Ocean SAMP was to determine where offshore wind development could be placed while protecting existing uses and the ecological integrity of the state’s waters. To achieve this end, the Coastal Program held over 100 public meetings and engaged dozens of scientists over the course of two years to understand existing uses and address concerns about offshore wind development. The resulting Ocean SAMP identified an offshore Renewable Energy Zone that would go on to become the site of the Block Island Wind Farm. The Block Island Windfarm has been a catalyst for additional offshore wind development along the East Coast. 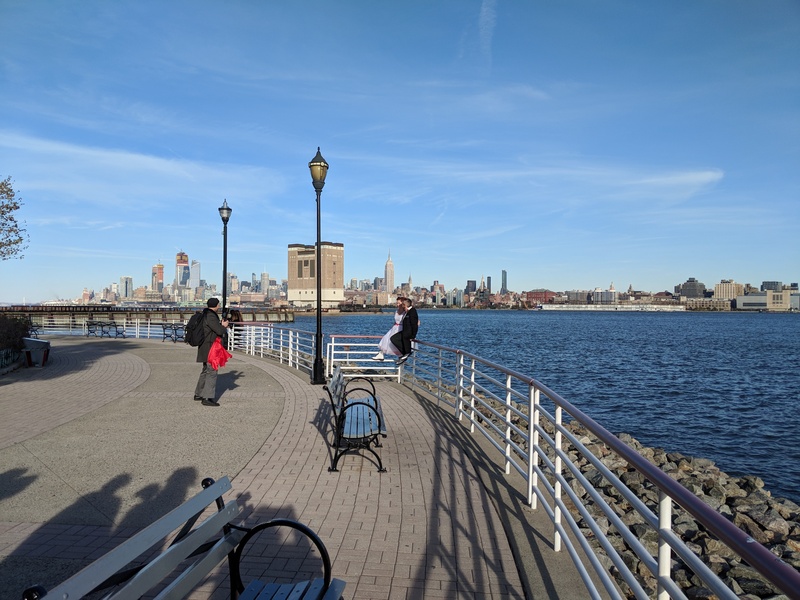 With passage of the state’s Coastal Zone Management rules in 1988, the New Jersey Coastal Program was charged with overseeing the incremental implementation of the Hudson River Waterfront Walkway. New Jersey’s Hudson River waterfront was historically the site of industrial development and limited opportunities to public access. These rules established that all waterfront development along the Hudson River must include a section of the Hudson River Waterfront Walkway, a public walkway that upon completion would stretch nearly 40 miles. In doing this, the state balances the public’s right to access with local businesses’ desires to develop the waterfront. The Coastal Program has the important responsibility of ensuring that the Walkway remains free and open to the public. Today, the Hudson River Waterfront Walkway stretches over 18.5 linear miles, passes through nine municipalities, is used daily for walking, jogging, biking, and more. The Walkway is widely regarded as a vital resource by residents and businesses alike. 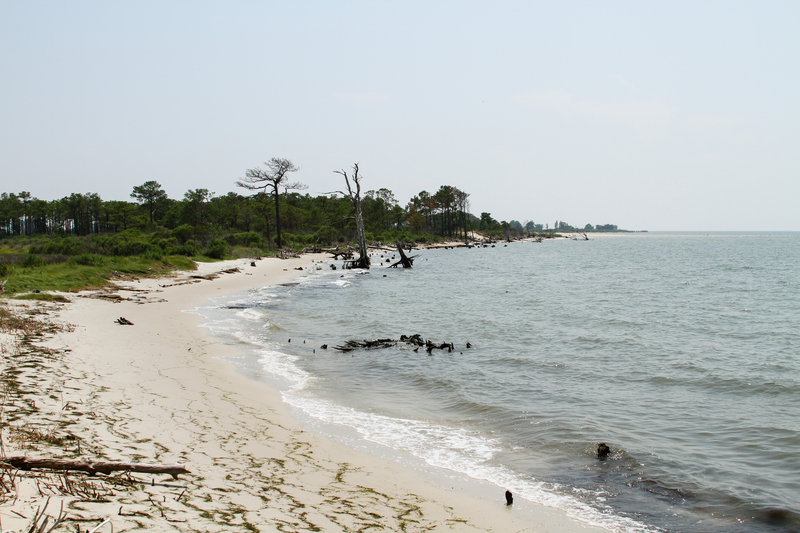 Maryland’s Deal Island Peninsula is home to several small communities that are vulnerable to coastal hazards like flooding and erosion. When funding was received to complete a marsh restoration project in 2012, the Chesapeake Bay National Estuarine Research Reserve and Maryland CZM Program partnered with the University of Maryland (UMD) to investigate resident perceptions of community vulnerability and identify acceptable adaptation strategies. To accomplish, the Reserve, the Coastal Program, UMD, and the community engaged in a collaborative learning process. This resulted in the completion of several collaborative research projects which brought together interdisciplinary teams to identify community focus areas, conduct an Integrated Coastal Resiliency Assessment which identified a range of adaptation strategies, and identified the Deal Island Shoreline Project which will restore 1,200 linear feet of dunes and other natural features that have seen an acceleration of erosion since the 1970s. Trust has been integral to the success of the Deal Island Peninsula Project, and the 5+ years of engagement and relationship building has led to a more integrated approach to complex coastal issues. While these projects are just one piece of a complicated puzzle to build a resilient Deal Island Peninsula, the community now has the tools and relationships necessary to continue these efforts on their own. Surrounded by four of the five Great Lakes, Michigan has the longest freshwater coastline in the nation. The challenge facing Michigan is the diversity of its extensive coastline and number of coastal communities facing the unpredictability of the Great Lakes levels with seasonal weather variabilities. 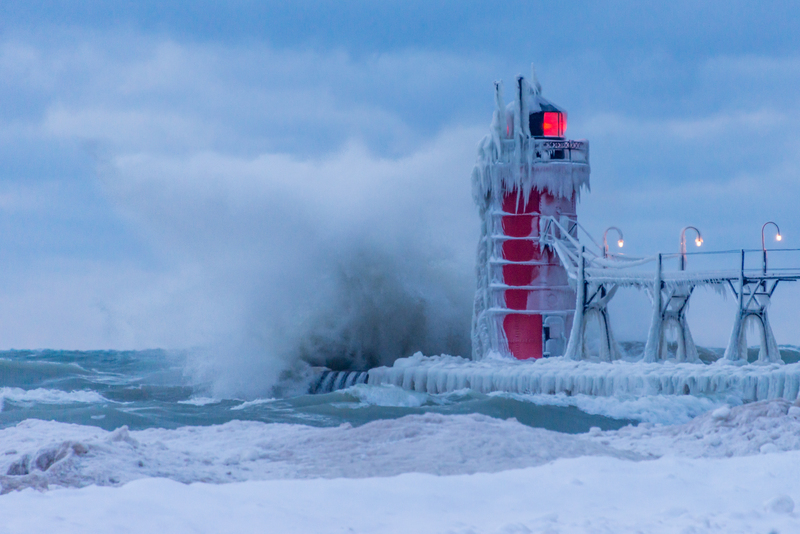 The Michigan CZM Program has launched a robust Hazards Resiliency Strategy to learn what local decision makers understand and do to protect the coastline. Partnering with a team of researchers, Michigan is working to assist coastal communities to prepare and adapt to coastal erosion and flooding to inform land use master plan and policy development that achieves local character and place for the coast. Specifically, these partners are working to develop resources that help communities to visualize what the “expect – lucky – perfect storm” hazard scenarios may look like as well as model plans and ordinance language that can be used to address coastal hazards. Together these tools can be used to craft Resilient Master Plans that reflect the communities’ vision for their coast. This kind of focused community engagement is critical in Michigan because, as a home-rule state, local communities have jurisdiction over the management of their coastline. “Top Ten Things to Know Series National Coastal Zone Management Program.” n.d. https://coast.noaa.gov/data/docs/czm-top10.pdf. Hawai’i Office of Planning. 2016. “Heʻeia National Estuarine Research Reserve: Management Plan 2016‐2021.” https://coast.noaa.gov/data/docs/nerrs/hawaii-reserve-final-mgmt-plan.pdf. “Menomonee River Valley History.” n.d. https://www.thevalleymke.org/history/. WI CMP. 2018. “Wisconsin Great Lakes Chronicle.” https://doa.wi.gov/DIR/Coastal_18-Wis-GL-Chronicle.pdf. LeBlanc, Joan. 2018. “Framework for Action 2018-2022.” https://www.gulfofmaine.org/2/wp-content/uploads/2014/06/GOMC-Framework-for-Action-2018-2022-2.11MB.pdf. “About the Council.” n.d. https://www.gulfofmaine.org/public/gulf-of-maine-council-on-the-marine-environment/about-the-council/. “Ocean Special Area Management Plan Executive Summary.” 2011. https://seagrant.gso.uri.edu/oceansamp/pdf/samp_approved/000_ExecSum_APPROVED_5.4_Clean.pdf. Mccann, Jennifer, Sarah Schumann, Grover Fugate, Sue Kennedy, Chip Young, and Monica Allard-Cox. 2013. “The Rhode Island Ocean Special Area Management Plan: Managing Ocean Resources Through Coastal and Marine Spatial Planning A Practitioner’s Guide.” https://seagrant.gso.uri.edu/oceansamp/pdf/Practitioner_Guide.pdf. “Hudson River Waterfront Walkway.” 2018. https://www.nj.gov/dep/cmp/czm_hudson.html. “Hudson River Waterfront Walkway.” 2018. https://www.nj.gov/dep/cmp/czm_hudson.html. ; N.J.A.C. 7:7 Coastal Zone Management Rules. 2018. https://www.nj.gov/dep/rules/rules/njac7_7.pdf. “Hudson River Waterfront Conservancy.” n.d. https://www.hudsonriverwaterfront.org/. “The Deal Island Peninsula Area.” n.d. https://www.dealislandpeninsulaproject.org/the-deal-island-peninsula-area. “Why Collaborative Learning?” n.d. https://www.dealislandpeninsulaproject.org/why-collaborative-learning. Acknowledgements: Thank you to the coastal zone managers from HI, MD, ME, MI, NJ, RI, and WI for sharing their stories. For more information contact, Bridget Faust (bfaust@coastalstates.org).